I am very excited to share my fall class schedule with you! In addition to my regular stamp clubs and technique, punch art, and scrapbooking classes, I have added one holiday-specific class each month! Each class is offered 3 times: Friday at 11:00 for those that are home during the week, Friday evening at 6:00 for those looking for a girl's night out, and Saturday at 11:00 for folks that like to party on the weekend. Pick the day and time that works best for you. 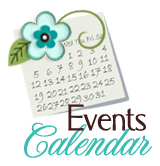 You can see all the class descriptions, dates, and prices on my Calendar Page (click "Calendar" button above or HERE) as well as on my Stampin' Up! Calendar Page. If you do use the Stampin' Up! calendar, be sure to come back here and use the handy PayPal links on my Calendar page to sign up. The holiday classes are kit-based meaning I need to time order the supplies so you will need to sign up at least 10 days in advance. All classes will also be available by mail, too, so if you can't attend, you can still make the projects at your home. This year, I am also offering access to class videos (me doing the projects) for everyone that signs up! I'll post more on that later. Let me know if you have any questions and I hope to see you at one more more classes!! Wait until the new catalog goes live on August 1 and order the Build a Banner Simply Created Kit (133507) and the Halloween Banner Simply Created Accessory Kit (132698) for $29.90 plus shipping and tax. Sign up for my Spooky Banner class on September 6th or 7th and join other excited stampers in my studio where I will walk you through the steps - just $25. Join my Stampin' Up! team, and get the Banner and Accessory kits free! In addition, you will receive $125 worth of supplies from the catalog (you pick! ), catalogs and business supplies to get started, and free shipping! All for just $99 plus tax. To see what else you get from me, check THIS out. Try My Paper Pumpkin and Save! My Paper Pumpkin is a kit subscription that gets shipped direct to your door once a month. It's kinda like when you were a kid and didn't know what presents would be under the tree until you went downstairs on Christmas morning and unwrapped them. At just $19.95 plus tax, it doesn't cost much to get a fun project delivered to you door, but here is something special: If you are new to the Pumpkin, you can get your first two months for just $10 each plus tax! After the first 2 months, you can quit, or skip or a month, or you can continue your subscription for $19.95 plus tax. That is a pretty good deal! To try out My Paper Pumpkin, just go HERE and fill out the form. Be sure to click the Add Promo Code button and enter PUMPKINDEAL in the promo field. That's it! Let me know if you have any questions!! Lots of New Products and Fun Projects! At our annual convention, Stampin' Up! announced some fabulous new products coming and I want to share the first one with you. It is called Undefined and will bring out the creativity in everyone. With this product, you can carve your own stamps! 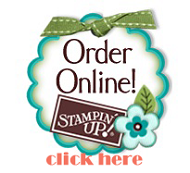 You can click on one of the item codes above to order or you can go to my Stampin' Up! store. Convention 2013 - An Amazing Trip! I am sorry, dear readers, that I was not able to post here while at Convention. First, I loved the hotel that I stayed at, but the wi-fi was quite unreliable. In addition, Stampin' Up! had us so busy from early morning to late night that I just didn't have the time! I will be posting alot over the next days and weeks to share so many things with you, but first, please celebrate with me, my biggest Stampin' Up! award ever: Founder's Circle Member! Every year, the top 100 demonstrators in the United States are entered into the Founder's Circle and this year, for the first time, I made it!!! I was stunned when I saw my name displayed and actually cried. We each received a beautiful leather purse and are invited to the Founder's Circle retreat in beautful St. George Utah in September. Thank you for hanging in there for my 6 Convention Swaps (card fronts). I am also swapping some fabric quilt squares and I will be sharing those later since Convention starts TODAY! And if you thought that you would sneak into my studio while I'm gone, forget it! I have people watching my house, so I would know! LOL! This card is almost exactly like this one but the one today is larger and a different color. Stay tuned for pictures from Convention! I liked the Feel Good stamp set when it came out in the Occasions catalog and I was really glad when it made it into the annual catalog. Really fun words - and they are big enough that you don't need alot of other things on the card. Check out these awesome products and more at my Stampin' Up! store! This is similar to the card we did at my New Catalog Open House. These stamps, along with the matching embossing folder help make card-making a snap! The Wildflower Meadow stamp and embossing folder are also available as a bundle (wood: 132735, clear: 132985). Same for the Label Love stamp set and Artisan Label punch! (132723, clear: 132722) We have lots of bundles, and with bundles, you save 15%! Just enter the word, "bundle" in the search field at my Stampin' Up! store! Just in time for the upcoming holidays! Your new demonstrator kit is just $99 plus tax and includes $125 worth of anything in the catalog (you pick!) PLUS all the catalogs & business supplies you need to get started PLUS one of the kit options shown above PLUS the goodies that I provide. Let me know when you want to get started! As I posted earlier, I made 288 swap cards (card fronts) for our upcoming convention. I made 6 different designs, 48 of each. I admit that I CASEd (Copy and Share Everything) most of my designs; I am thankful that there are alot of talented stampers online!! I adore this stamp set - that big flower looks good in any color!